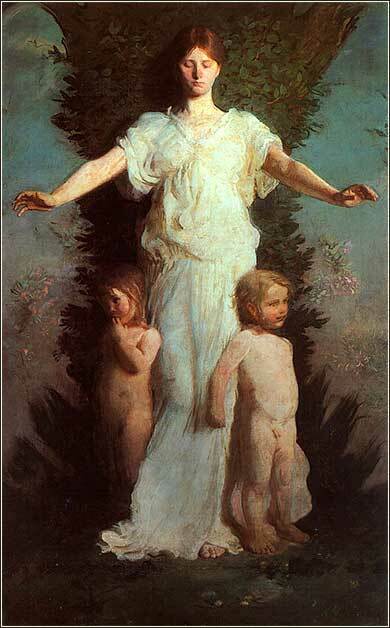 Caritas (Christian Love) by Abbott Handerson Thayer ca. 1895. From Easter-Day by Robert Browning. Most scholars count eight beatitudes, even though there are nine statements beginning with “Blessed are . . .” If they are looking for eight pithy one-sentence teachings, they omit verses 11-12; or, as we have done, the count these three sentences as one teaching. 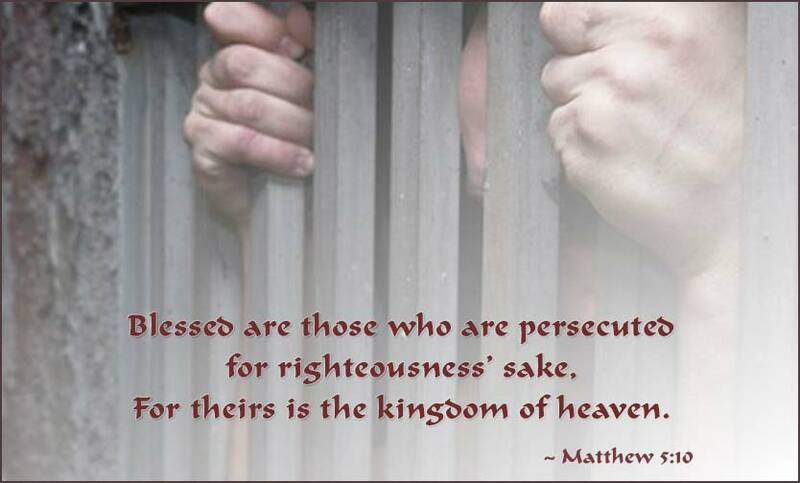 Few people reading this page are in danger of severe persecution. We will not be covered in pitch and used as human torches in Nero's garden, simply because we are Christians. But Western society is currently turning noticeably anti-Christian, and we can expect to be reviled, and listen to people “utter all kinds of evil” against us falsely on Christ's account. Our parents, grandparents, great-grandparents did not have to suffer this, for Western society in the 19th and 20th centuries had a Christian norm. Many people would pretend to be Christians even though they had not given themselves to Christ; they would even participate in worship half-heartedly, for it was expected. It raised one's status. It was good for business. But now, we see a winnowing away of the chaff. Society has grabbed onto a new norm, and outspoken hostility to the worshippers of Christ is a growth industry. We are increasingly reviled. If you have not been exposed to the current evil falsehood, that is rapidly becoming the accepted wisdom of the Western atheist, “Christians” are now held by many to be responsible for more wars and murders than any other force in history. But the final word, and the greatest comfort, come from Christ himself. We will read Christ's great teachings on forgiveness in the next few weeks. But the first lesson is that we should find joy in whatever we might suffer. I draw a fair amount of direct hostility, being a Christian writer — and especially on the internet, which allows for direct response so easily. All Christians see both actions and words that must cause us direct pain. By God's design, however, we have Christ going before us: villified, whipped, and crucified for nothing more than bringing a message of peace, love, and the need for godliness in the human heart. And so we must find joy in our comparatively slight pain, if and when it occurs, remembering that when all is said and done, God himself will reward us.